Skinny jeans have been around for longer than I care to remember, and even though they're still here to stay for a fair while longer, are flares becoming the new wardobe staple: the skinny jean? It's no secret that flares have made an overwhelming comeback in 2015, after being flung to the darkest corners of wardrobes across the country and remaining there untouched and unloved for far too long. Despite their sudden re-appearance in the world of fashion, some of us still remain sceptical about them. 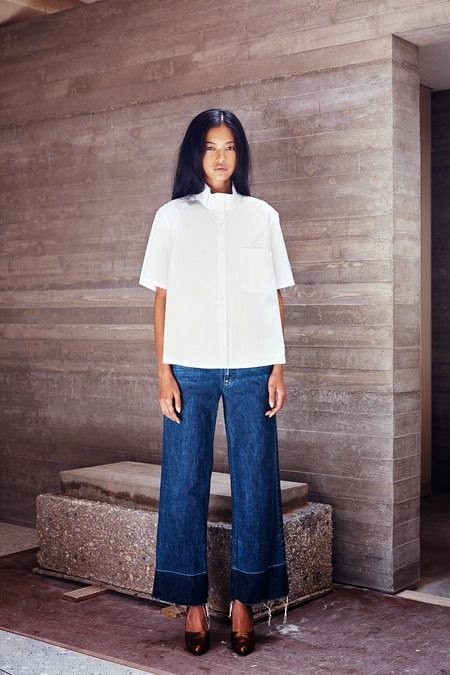 Be it cropped, floor-length or just plain ankle-length, jeans are a wardrobe staple, of which the majority of us throw on most days without a second thought, so why is it that this new flared style is so daunting? I personally believe that one of, if not the main reason, is because they appear somewhat difficult to style. Admittedly, I was slightly apprehensive about the idea of flares, particularly with my 5ft 4 frame, but after spying a pair in Topshop, I decided to take the plunge and buy some, and I haven't looked back since. Treat them just as you would your skinnies and you're on to a winner. Be warned, however: take note, girls, if you're a short arse like myself, I advise some hefty platforms to rock those floor-length flares - I doubt our short legs are considered with high-street flares as of yet (but I remain hopeful).